Birdon was responsible for the construction of three 12 metre Aid to Navigation work boats for the Queensland Government. The Aid to Navigation (AtoN) work boats are used for the installation and maintenance of Aids and for essential, general marine operations including oil spill response, waterways maintenance, the towing of small vessels and removal of marine debris. Each AtoN vessel is equipped with a winch and crane to provide support for any situation. The 12 metre AtoN work boats are made of aluminium and have a total displacement of approximately 9.8 tonnes. They have a full load endurance capability of up to 10 hours, whilst retaining speed and stability. Powered by 250hp Suzuki outboards, the vessels can travel at a maximum speed of 38 knots. These vessels are practical, manoeuverable and durable. Birdon’s work safety policies ensured the safety and best practice of all staff who worked on the construction of these vessels. 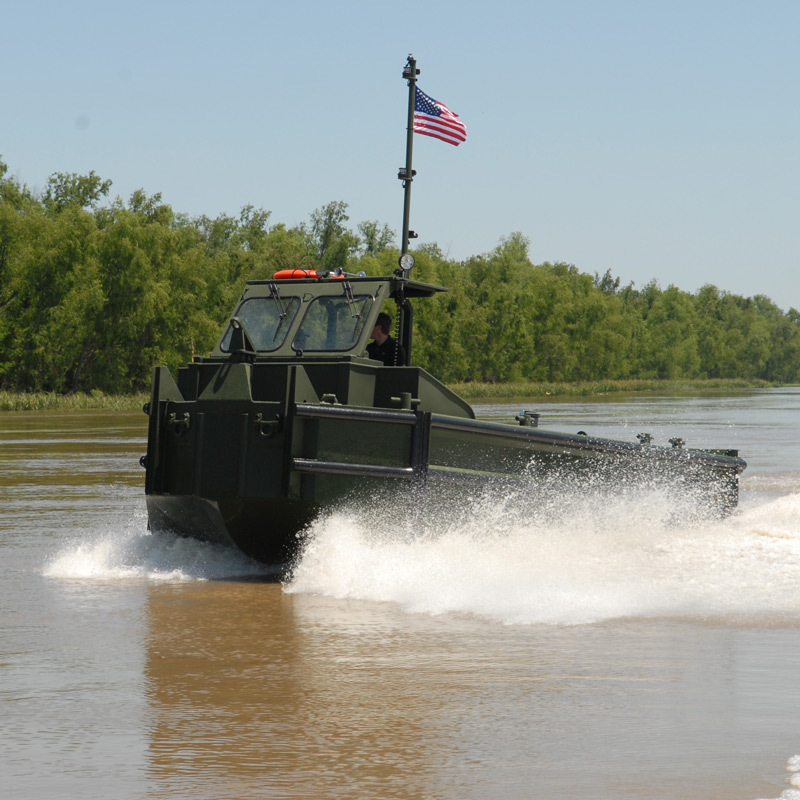 Birdon is currently under contract to deliver 374 Bridge Erection Boats for the US Army at a cost of about US$252M over 4 years. This contract win was the culmination of four years of design, tender submission and prototype trials, based on Birdon’s Bridge Erection Propulsion Boat design for the Australian Army. The vessels are road, air and sea transportable and are used to construct and manage floating ribbon (pontoon) bridges for mobile armoured units. When coupled to a bridge section they can also be used to ferry military vehicles across open water. A key component of the design is the NAMJet propulsion unit (water jet) which provides significantly more thrust at lower speeds than other water jets on the market today. 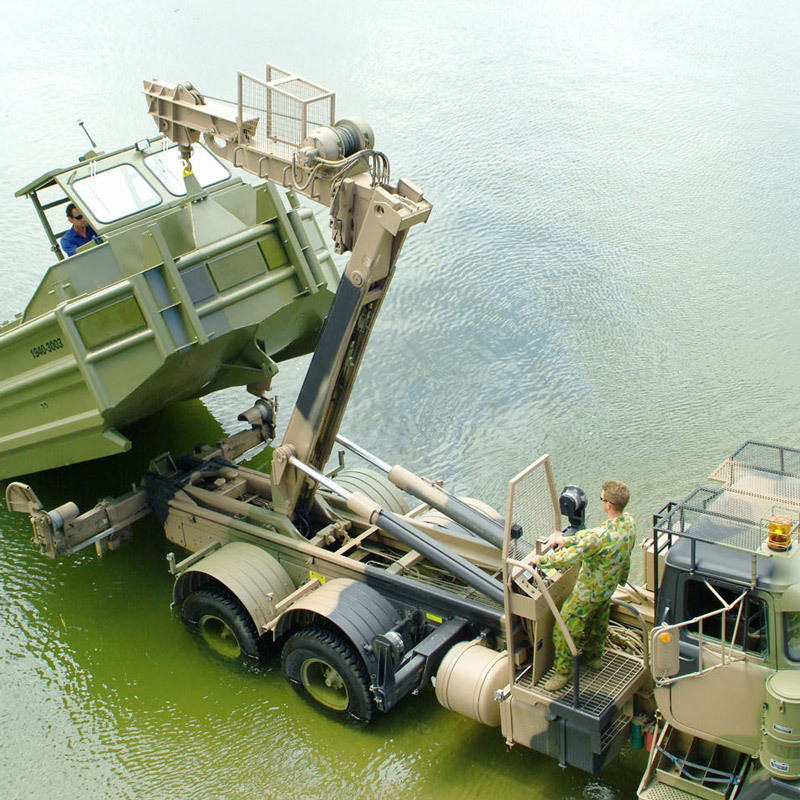 BEBs are a vital mobility asset for any army requiring water crossing capability. They are used to manoeuvre floating modules to create bridges or act as ferries across strategic waterways while also providing thrust anchorage against strong currents during bridge construction and operation. The importance of this type of bridge system was reinforced during Operation Iraqi Freedom in 2003 when the US Army took only five hours to build a 600 metre ribbon bridge across the Tigris River. This was the longest floating bridge constructed in a combat zone since WWII. The US Army BEBs have NAMJet Traktor water jets which produce 30% more thrust and a significantly higher top speed of 24 knots. NAMJet (North American Water Jet) is owned by Birdon. Birdon is currently delivering an initial run of 25 vessels –known as the Low Rate Initial Production phase (LRIP) –for a fixed sum of just over US$9 million. This LRIP phase is being used to finalise key design factors and bed down production processes before final delivery targets are set and full production begins. The first 25 BEBs –the LRIP vessels –are being built by Birdon America at its Denver facility. LRIP is due for completion at the end of 2017 and will be followed by the construction of up to 374 production BEBs over the next four years with a potential contract value of $US252 million. Birdon was recently awarded a $4.68M contract to design and construct three new vessels to service Norfolk Island. The design for the vessels has been completed and construction is currently taking place at Birdon’s Port Macquarie shipyard. The project is due for completion in 2019. 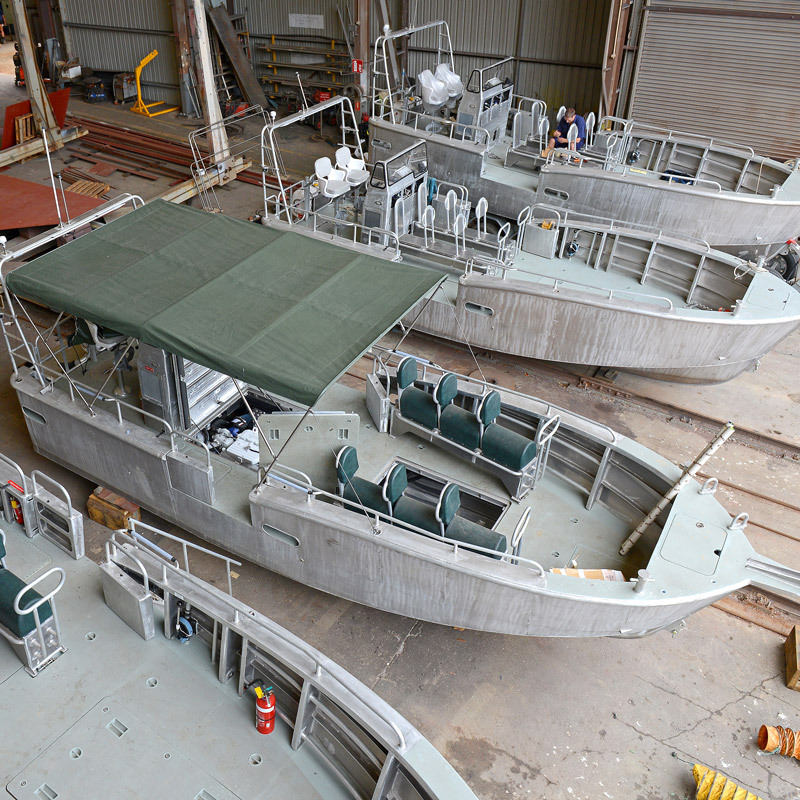 Birdon was contracted by the Defence Material Organisation (DMO) to design and build 24 Bridge Erection Propulsion Boats (BEPBs) for the Australian Army. 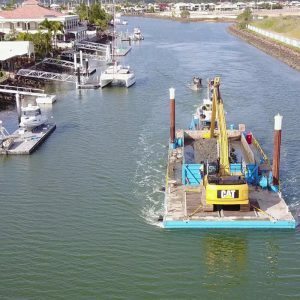 The vessels were to replace the existing fleet of Bridge Erection Boats (BEB). The $16 million contract included integrated logistic support, technical documentation and initial in-service training. Three-year warranty and maintenance support for the vessels located in Darwin, Townsville, Sydney and Brisbane. Birdon was also successful in its bid to provide Life of Type Extensions services for the BEPBs and is re-powering and refitting each boat with Birdon-owned NAMJet water jets for improved slow speed control and overall performance. Birdon was contracted to build an aluminium and steel workboat for general harbour duties in the Port of Brisbane. Its duties include light tug work, pushing, bottom levelling and salvaging. The vessel has an overall length of 16 metres and a top speed of 12 knots. 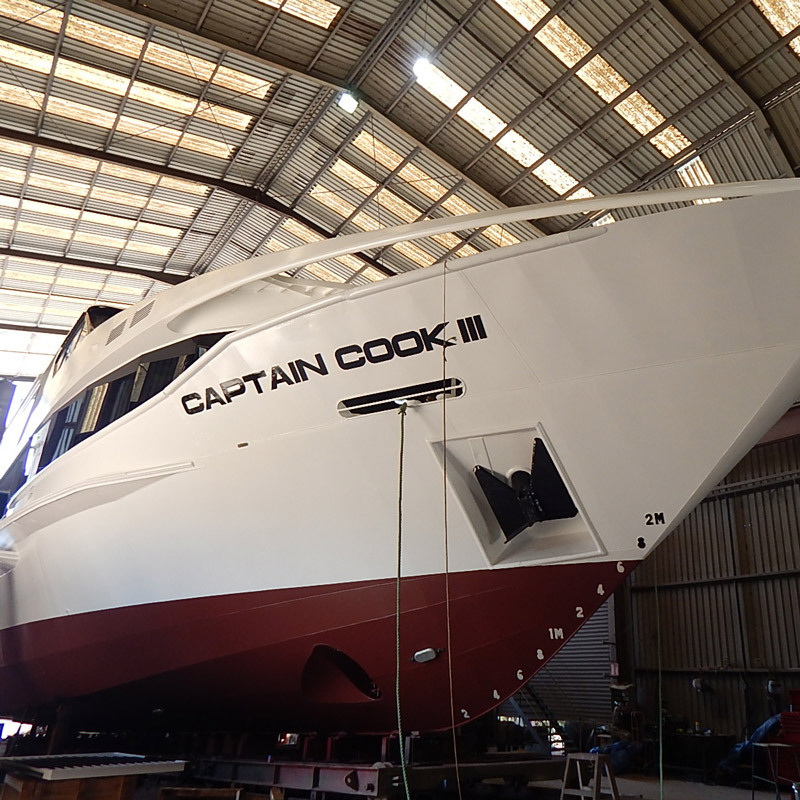 Birdon undertook an extensive refurbishment of Captain Cook Cruise’s Sydney flagship to modernise this popular function vessel. Birdon was responsible for replacement of hull plating as well as a complete internal upgrade to meet the exacting customer expectations in this competitive entertainment and cruising market. Birdon designed, constructed and delivered the 16-metre pilot vessel Henry Newton. The Henry Newton was built and surveyed to full Lloyd’s Classification. The new 16 metre Pilot Cutter ‘Henry Newton’ was delivered to Newcastle Port Corporation on the 30th of October 2011. Birdon partnered with internationally acclaimed designers Camarc for this project to design and build a new pilot vessel for Newcastle Port Corporation. The vessel is in 2C class New South Wales Maritime Survey and is also built to Lloyd’s Register of Shipping 100+. Henry Newton can operate in the most challenging of conditions and will serve to transport pilots safely to and from ships in the Newcastle area over the next 30 years. 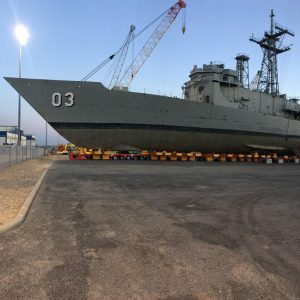 Birdon was selected by the Australian Defence Force to design and construct a fleet of 16 Regional Patrol Craft, including trailers. The vessels are integral to the Regional Force Surveillance Unit (RFSU) and Border Protection Force operations. 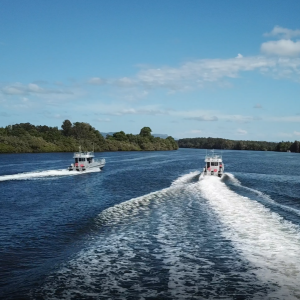 With these vessels, the army has the capability to operate in blue, brown, riverine, and brackish waters supporting smaller watercraft up to 12 nautical miles offshore. 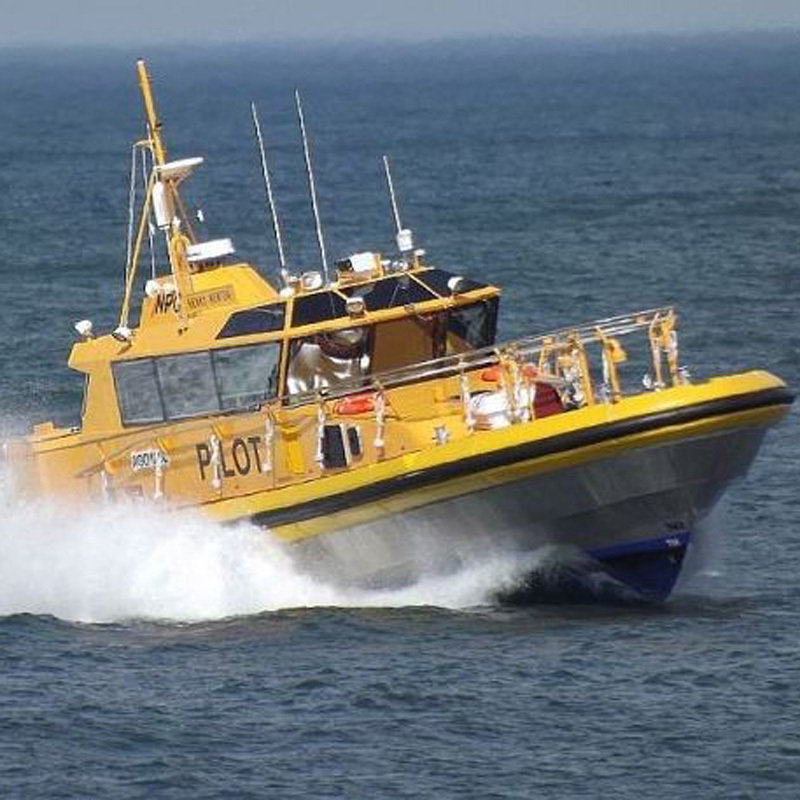 The vessels are also suitable for the harsh Australian coastline having been designed and built to insert, extract and support foot patrols and provide parent craft aid to other vessels in remote areas. The vessels have been built in accordance with the Lloyd’s Register classification at Birdon’s accredited, all weather, aluminium fabrication facility in Port Macquarie. The Regional Patrol Craft (RPC) are 8.2 metres in length with a beam of 2.8 metres. The vessels are powered by a 355 hp Cummins engine driving a Hamilton Water Jet, which can propel a fully laden RPC to speeds of 25 knots. Each vessel has the capacity to carry a full patrol plus crew. 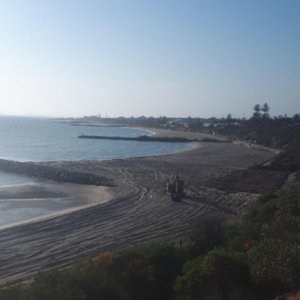 Roads and Maritime Services (formerly RTA) selected Birdon to fabricate and deliver five 130 tonne vehicle ferries. The Sackville Ferry, Wisemans Ferry and Webbs Creek Ferry all service the Hawkesbury river. The Wymah Ferry services the Murray River and the Lawrence Crossing Ferry services the Clarence River. Birdon built two of the ferries simultaneously. To do this, Birdon manufactured components across various facilities both on and offsite. All components were then brought together for assembly prior to launch. 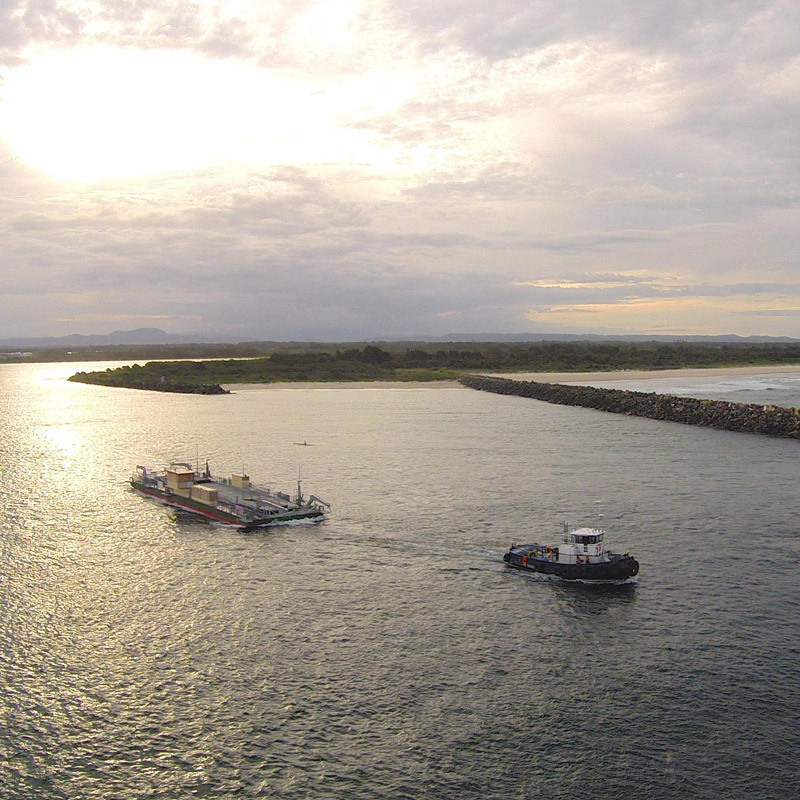 Birdon supplied a vehicular ferry for the Port Macquarie Hastings Council in 2007. The ferry is 55.67 metres long and can carry 21 vehicles. Steel fabrication in excess of 170 tonnes. 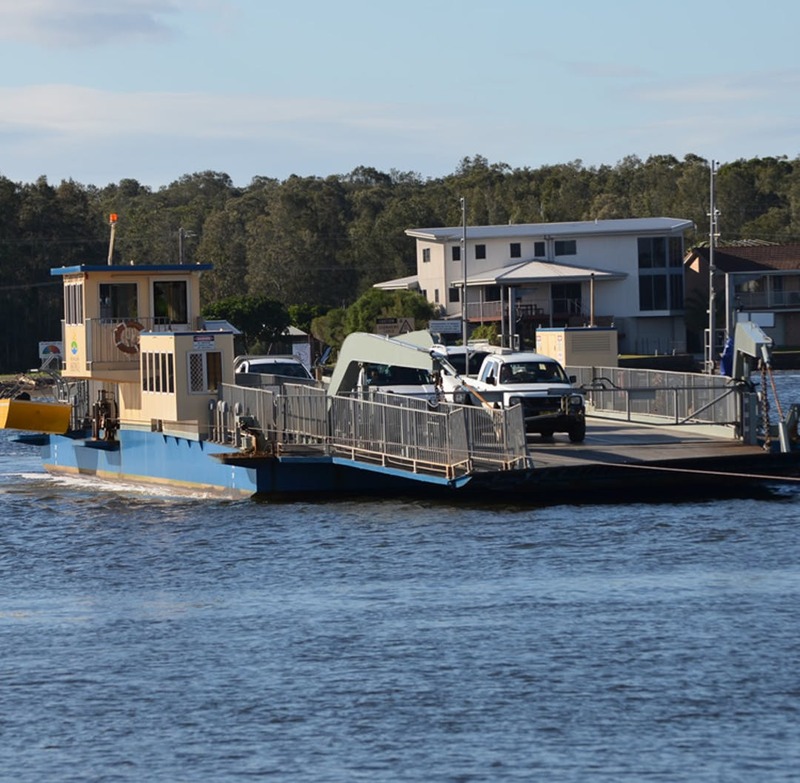 The Port Macquarie Hastings Council Vehicular Ferry is operational in Port Macquarie on the Hastings River. 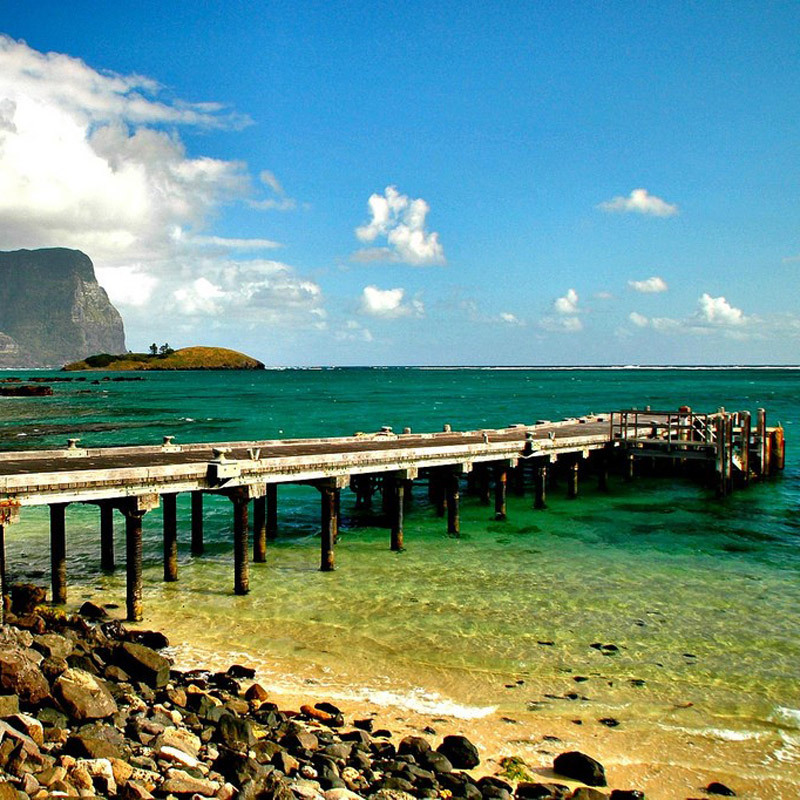 All the work was completed at Birdon’s Port Macquarie shipyard. 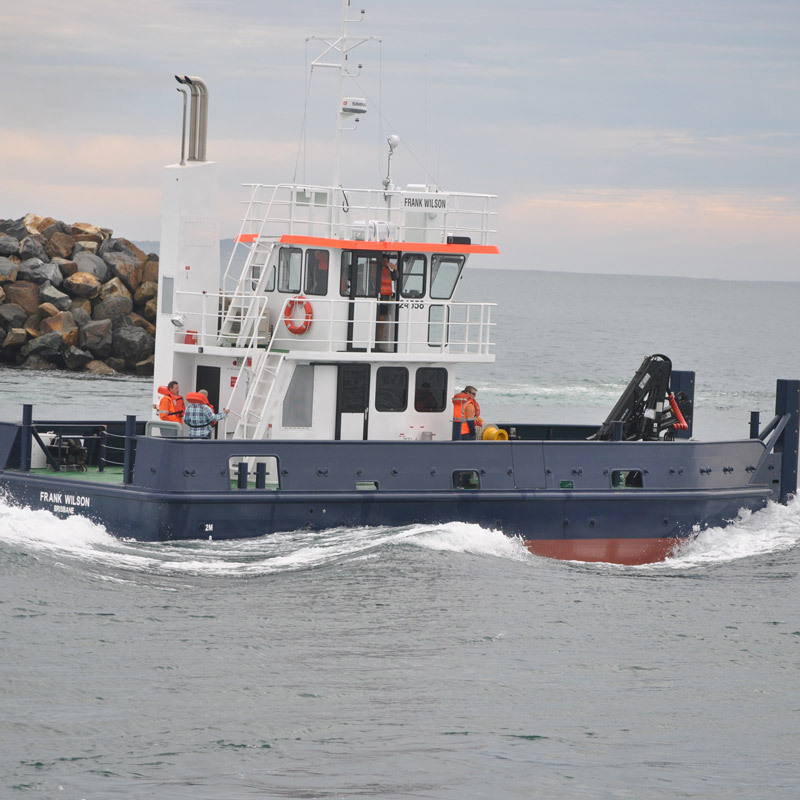 Birdon also completed a refit of the vessel for Port Macquarie Hastings Council in 2011.